Look what I found at PUBLIX! I am super excited about this little find. I actually grabbed it a few weeks ago, and my intention was to color it. I had been going back and forth between using colored pencils, markers, or pens. The pages are thick and single sided, which even brought to mind using watercolors for some of them. Reality was that I just didn’t have the time to get started on anything, so it sat on my desk. Today, I had a bit of free time. I plucked the booklet off of my desk and began thumbing through the pages trying to decide my plan of attack. Did I want to treat this as a coloring book, working my way through the pages? Or, would I pick a few pages out and spend a little more effort on staying in the lines. If I did this, I could potentially frame the pages and hang them as art pieces in my house. However, to my surprise, I didn’t want to color a single page. As I looked through some of the intricate designs I had an epiphany! I could use the pieces for inspiration for a few quilling projects. I think for now, I just want to work on some of the individual images. However, I may then piece them together and create a picture/scene of some sort. I’m curious if anyone else has ended up using the adult coloring books for something other than a relaxing color session? To those who know me, I love anything arts and crafts. I love to craft with paper, or grab a paint brush and create something new to hang in my house. My home is filled primarily with pieces of art that have been made by various family members. Occasionally, I will head out with some friends to one of the “sip and paint” style events. You can bring food and drink, socializing with your friends for a ladies night out… while you paint. Painting is not something new to me, I take to it pretty easily but even more so when I am being given step by step instructions. A friend invited me to a “sip and paint” party at a local studio, we were going to paint an Octopus on these cool boarded plaques. There were about six women seated at my table, and despite the instructors best efforts these various octopi couldn’t look any more different from each other if we tried. Well, maybe if we painted them different colors would could get one step further. The instructor would pass by and comment on my octopus. Let me key you in on something, I really do not like public affirmations like that. I don’t. I get embarrassed easily (shocking, I know). It makes me uncomfortable for others who may be struggling. I am also highly critical of myself and would prefer to float under the radar… or I’m too busy fretting over that mistake no one else notices but is staring me in the eyes challenging me to “fix it”. After her first few passes and comments, the gal sitting next to me was starting to feel something about the attention. Kindred to my own soul, she made funny comments about it. Not directly TO me, but in my range of hearing. I’d laugh about it, because… well… she was funny. I’m down with self deprecation, so I chimed in a bit myself. She laughed. I laughed. Then just as the tension was dying, the teacher would whiz by again commenting on my octopus. The cycle would start over. Finally, she began to speak a bit louder to ensure the teacher heard her. What about me? Am I not doing a good job? Is she the teachers pet? While her tone suggested she was saying these things in jest, we all know there is usually a bit of truth in these types of comments. The teacher was not picking up on it, but I already had. So I began complimenting her on certain aspects of her piece. I pointed out a detail that she added that I had skipped because I didn’t think I would do it right. I shared that I was worried about messing up the piece. The one of the other gals chimed in, complementing another facet of her finished piece. It is hard, when you are trying to do a good job. We seek encouragement so that we know we are on the right path. If we have put in a lot of effort, we desire someone to notice it and appreciate that effort. That’s a lot to handle and balance with being humble. It is a check to our pride, graciousness, and humility. Sometimes, it’s more than just a painting or a task we completed. We just want to be acknowledged as a person. There are times, however, where the Lord doesn’t want us out in front of the pack. He doesn’t want us waving our arms, bouncing in our seats, shouting “look at me”. In fact, he wants our work to unknown… no credit, pats on the back, accolades. In a world that is giving prizes for participating, picking weekly superstars, and overloaded recognition we can begin to expect it within all the facets of our lives. Then, when it doesn’t happen … we take it too personally. I wonder though, if we are supposed to give the Lord the glory in ALL THINGS… why do we demand such accolades for ourselves? Why do we demand to be seen, even when He clearly is asking us not to? Lord, let my human fleshy needs take a back seat to your wonderful righteous glory! Amen. Yesterday’s blog piece on Failure was my attempt to wrap my head around a fellow writers statement that “Jesus failed her”. As I read through the piece, I just couldn’t get passed it. I can’t think of a time where things didn’t go my way resulting in my feeling as if Jesus somehow failed me. Even when I feel discontent with God’s answer or lack of movement in an area, I’ve never blamed Him. More often than not, I will point the finger at myself assuming that my desires were not in His will or perhaps I have been walking in disobedience. I may even remind myself that I have to be more patient because things happen in God’s timing not my own, or that His answers will always be infinitely better than my own. I can remember being pregnant with my second, the doctor alerting me to precancerous cells found in my uterus and cervix. I listened intently at the options before me, what risks each carried for me and the pregnancy. I don’t ever remember being angry at God over the risks to my pregnancy. My husband came upon me in the bedroom crying over it, and he told me “God wouldn’t give you a baby just to take it away”. His words were sweet, but we all know that sentence isn’t true. Women lose babies. I said as much to my husband, and told him that her purpose may simply have been to save my life. I was trusting that however this was going to play out, it was part of God’s good plan. That doesn’t mean I stopped crying over it, worrying over it, praying that the Lord would protect her. Had I lost the pregnancy, I would have grieved. I just don’t recall ever feeling let down by God. That is not to say that I haven’t had my moments where I have cried out to the Lord, because I couldn’t understand what He was doing in my life (or the lives of those I care for). I think that is an entirely different thing. I can be confused or concerned, worried or sad, and even angry with a given situation. I just don’t see an emotional response as being the same as feeling that Jesus let me down. So, as you can see, this was just a concept I couldn’t understand or agree with. When I read the piece a second time though, something else caught my attention and then I had my “a-ha moment”. The author penned the term “midfaith crisis” and suddenly it all began to make sense. At some point, whether via a movie, television show, or happening right before our eyes, witnessed someone going through a midlife crisis. Mid LIFE crisis is a term we all know, even if we don’t understand it personally. Entertainment will portray it heavily, as the guy who cheats on his wife with a younger women… or lightly, the man who comes home from work one day with an ear pierced, a tattoo, and a motorcycle. A result of an nonacceptance of aging, desperately clinging to their youth, or attempting to accomplish those bucket list items before they are too old to do so. When someone has a midlife crisis, we can at least have an understanding as to why they are making some crazy choices even if we don’t approve of those choices. A mid FAITH crisis wasn’t really a term I was familiar with, or even a feeling I could understand. However, when I consider the totality of my faith walk… well, I joined the party on the late side. Maybe, I will be spared the midfaith crisis… or it’s just lingering further down the road. 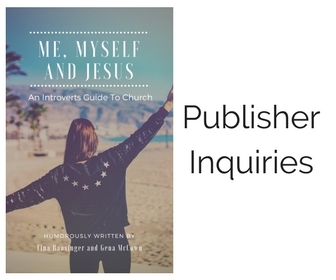 As I spent more time trying to understand the concept of the midfaith crisis, I found myself softening to the author and beginning to grasp how she could feel that Jesus let her down. Sometimes our immediate knee jerk responses are more about our ownselves and perceptions than they are about the other person. Being able to apply what I understood about midlife crisis, midfaith crisis was a bit easier to work around. The more I thought about that, the more sense the whole piece made. If I had to imagine myself as a person who worked hard all of my life, dedicated to my job and family. A person who volunteered in the community, was a good steward with my money, living a modest life and helping others. If I think of these things, and then imagine that all through my life I could never catch a break. I can see how that would bring me to the brink of crisis when I hit that half way point of my life. You wonder “will it get better?” and you may even begin to take things into your own hands to control a better outcome. You believe that you worked hard all of those younger years, full of sacrifices, so that your golden years would be easy and carefree. You worked hard, you deserved an easy retirement. Then one thing after another comes along that takes you money, your health, etc. away… and crisis strikes. You feel let down by life, you wonder why you sacrificed for nothing. Then I felt it, I could understand. Part of the reason I couldn’t wrap my head around it from the beginning was because I still feel like I fail at following Him to the fullest. I know I could sacrifice more, give more, serve more, pray more, follow better. Which is why I lean toward the belief that I let God down, not the other way around. But, for those who have… and we all know those people exist (even if the number is few)… that serve God, love God, obey God with every bit of their being? I could understand that moment (however long it lasts) of being honest with God and saying, Lord… you let me down on this one. The good news? Our God is big enough, and loving enough to handle that feeling. He can handle your midfaith crisis. He knows our hearts, because He dwells there. He knows that we love him, serve him willfully, and that sometimes the directions He will take us can be tough. He understands that we are confused, and can’t see what He is doing. He understands that we are hurt, and don’t see the good in what has happened (yet). He loves us through it. As a parent, I would love to be able to give my children all of the desires of their heart. However, I also know that all of those desires are not good or healthy options. My 10 year old would be content with eating cake the rest of her life, my middle schooler would love for me to allow her more freedoms, and my high schooler is entering a time in her life where she teeters between childhood and adulthood. There are times when our answers to their requests are no, and they will cry or get angry. No matter the words they hurl in that moment… they know that I love them, and I know they love me. Despite that crisis mode they are in, or the hurt, or the words. My eldest recently asked me a question, and she started it with: “I need to ask you something, and I hope you will say yes…” I knew it was going to be a weighty question, and probably one I couldn’t answer on the spot. Yet, even with those words spilling out of her mouth… I could sense hope. She had her hopes up already, even knowing that my answer would not likely be what she wants to hear. Just as we know our children, our Father knows us. He hears the hope in our voices, He knows the desires of our heart. As I reflect on the blog piece that started the wheels in mind to travel down this road, I realized how raw and honest this woman was being. But, I was also able to see that despite her feeling that “Jesus had failed” her… she had not given up on loving Him. Her words were not as dire as I first perceived them. Perhaps, we could all learn from this exploration to be a bit more patient before we jump to conclusions. To listen better, to read through things a few times before we jump to judgments. To take the time to process it and see situations or statements from other perspectives, so that instead of judging someone harshly… we can stop and pray for whatever situation they are dealing with. Quite often we only have part of the story, or we focus on a small detail and miss the bigger picture. Had I allowed myself to stay hung up on her statement of being failed by Jesus, I would have missed so much more of what she was attempting to share. I would have missed her endurance, perseverance, honesty, transparency, authenticity, and vulnerability. I think we could all do well with a dose of being real and raw, with the world… with ourselves… and with our God. Failure is a funny word to me, because I truly believe that we rarely utterly fail at something. Sometimes, it is simply a matter of perception. Follow along with me for just a moment on that thought before we get into the meat of this topic. Below is a series of photographs from a wedding, several years ago. At the time, I owned my own confectionary. This was not my first big event, but it was my first wedding. The bride wanted a confection bar full of candies, sweets, and treats. She didn’t want a traditional wedding cake at all. We decided upon some cupcake towers and a small cake at the top, which was adorned with their wedding topper and serve for the “cake cutting” part of the reception. What you see here is a very well executed plan, right? Wrong. I had a MAJOR failure. I promised her Jolly Rancher Cotton Candy. I woke up that morning to make the fresh cotton candy, only to find that there was just too much humidity in air. The cotton candy, which I had made dozens of times before, was melting before I could even bag it. So, I bought some cotton candy that was pre-made and portioned it out into the bags. The bride was happy, there were no gaping holes in the table set up, and there was not a single bag of cotton candy left over. I failed. Yes, it was due to circumstances outside of my control… but I still failed to deliver what I promised. Even if, ultimately, I was really the only one who knew about the failure. The next large event I catered was for a fundraiser. I met with the planning team and they presented an adorable center piece concept. They brought out super cute little tiered dessert stands. The plan was to have the stand filled with cupcakes. There would be a giant cupcake “topper”. The small cupcakes were part of the dessert for the evening. They would have table drawings for the centerpiece (inclusive of the giant cupcake topper, plus an additional 1 dozen mini cupcakes). In addition they wanted gift bags for the VIP sponsor tables. I was super excited to get started. I measured out the centerpiece they provided to determine the number of cupcakes that it would hold. Sent them a quote. The order was set. When I arrived the morning of the event to set up, to my shock… the tiered center pieces had be replaced. They made the decision to go with something nicer, which was the right decision. However, they neglected to inform me of the change. These new centerpieces were MUCH larger. Almost twice the width on every tier. I placed the topper, the dozen mini cupcakes, and it was SPARSE. I flagged down the coordinator, explained the problem, and she made the decision we would forgo the dozen cupcakes as part of the table prize and instead use them to fill up the tiers. The following Monday, I received an email from the main chairperson. She wanted a partial refund because I failed to produce the dozen cupcakes per table for the prize. She was never informed by the coordinator, and thought I had shorted their order. I explained what happened, who authorized the decision to use them, and apologize profusely. In her response, she was very kind and canceled the request for the refund. However, I never received another order from her or their organization again. In this case there was a perception that I failed. I knew that I hadn’t, and that I met my obligations. However, based on what she could see… the chairperson perceived that I failed to come through. This weekend I was reading an blog piece in which the author was brutally raw about her feelings, as she declared that Jesus had failed her family that year. I was really stumped by those words. Jesus… who is perfect, flawless, dependable, truth… failed you? I couldn’t understand it. It didn’t seem possible. In all the years of unanswered prayers, I’ve never felt like Jesus let me down. Not once. I can’t think of a time where I looked up to the heavens and declared “Lord, you really let me down this time. I needed you to come through.” I was struggling with every single time her words “Jesus failed me” flew past my eyes. Yet, I not offended … angry … or hollering out “heretic”. Perhaps, that is because in all of those times where things didn’t turn out the way I wanted them to… I blamed myself. I told myself that the reason my prayer wasn’t answered or the Lord didn’t show up was because I failed Him. I feel like I fail God daily. I never feel good enough. I question why in the world He would want to use me in ministry. What I realized was that how we see things was very different. I was seeing failure in the way I described the first scenario. In some way, I failed to deliver on my end of the bargain… even if I did my best. Even if I made up for it in someway. Even if no one in the world knew or cared about it. I knew. I failed. My focus was there on that place where I failed, versus the ways that I succeeded. The woman who wrote the blog piece was more akin to my second example. She was the chairperson who had expectations on how things were going to turn out. She brought in the right people, and through no fault of her own in that scenario, something wasn’t right. She turned to the person she trusted to come through, and she said “you failed me”. You see, she ascertained that failure based on the limited amount of information she had. She didn’t know that the centerpieces were different sizes, or that it would make a difference in the end product presentation. She didn’t know that I was never informed of the change. She wasn’t brought into the decision making being done on the spot to accommodate the changes, nor filled in after the fact of what happened & why. When the Lord is working out things for us, we are not always clued in to what is going on in the background. We can’t always see the people or situations that the Lord is coordinating into just the right places, at just the right times. In fact, sometimes we never will. We may never see those fingerprints where God was moving mountains and mustard seeds. So, when the end product (or process) isn’t what we expected… we may feel like God failed us. He didn’t come through. On the other hand, we can become so focused on all of the areas where we ARE messing up… that we think we have failed God to the point He is ignoring us. We may think He is deliberately keeping blessing from us. We may even think that he is disciplining us. In the first case, we are so focused on our perception of the situational outcome that we can’t see those who kept their word and did their part. We don’t appreciate the people who were pressed into hard decisions. We lose the ability to give people the benefit of the doubt. We make assumptions, assign unjust blame. Our vision becomes clouded to the work God is doing, the blessings that are coming, the people who did care, and the hundreds of little ways God came through with something BETTER. Jesus never fails us, we just perceive that He did because we didn’t get the outcome we desired. Or, we become so focused on how wrong and sinful we are. We become so inwardly focused that we beat ourselves up, disqualify ourselves, and stamp FAILURE on our foreheads. We make vows to never try again, step away from commitments or ministry work, and wallow in how terrible we think we are. We put up our hands to the Lord, shouting STOP… I can’t be used. I’m a failure, not Jesus. Christ died because we are failures at keeping God’s statutes and commands. Throughout the Old Testament, on a repetitive cycle… God would move, the people would celebrate, the people would forget, the people would fall & cry out, and God would rescue. By the time of the New Testament, when Jesus enters the arena… God’s ultimate plan of redemption for his people who just can’t keep it together on their own. In her piece, she repeated a few times that she waited for Jesus to rescue her… and He didn’t. I would contend… HE ALREADY DID, ON CALVARY. And, in that moment we were given victory over sin and death. We are not failures, but perfected in Him. By His stripes we are healed. We need to keep our eyes on Him, not ourselves. Trusting His word, even when we don’t understand what is happening around us… or God seems quiet or far. Then, I read the article a 2nd time. Something else jumped out at me, and we are going to talk about that next time. The acknowledgement that forgiveness and reconciliation are not the same thing. As she waded through the waters of forgiveness, the words FREEDOM were key. Forgiveness leads to freedom because what ever that wrong was, it no longer holds on to us. However, reconciliation may not be possible. Perhaps the other person hasn’t apologized, hasn’t repented because they do not believe they were wrong. Or, perhaps they took ownership of their wrong doing but for your own safety you can not resume a reconciled relationship with the person. In some instances the person may have died, moved away, etc and there isn’t a way to even reach out and start a reconciliation process. However, we can still forgive them and more forward. This forgiveness does not free them from the CONSEQUENCES of their actions, it does however free us from being held captive by that person or situation any longer. I walked away that evening reflecting on several situations through the years that cause me distress. I thought of the scriptures that call us to forgive and reconcile. I felt like a failure in many ways because even despite my willingness to forgive, there were relationships that were not reconciled. I had sold myself to believe that I couldn’t more forward until reconciliation had happened. I resolved that those relationships wouldn’t necessarily reconcile to what they once were, but that to at least be on “civil terms” would be enough. When that couldn’t happen, I felt like I failed. Reconciliation requires repentance and forgiveness from both sides. It can’t be both sides saying they are sorry, and no one changes. It can’t be a change of behavior by both sides, without anyone actually apologizing. It can’t be an exchange of apologies, modified behaviors, when one or both don’t truly forgive. Forgiveness, repentance, and reconciliation may not come in that exact order & not all at one time. It may be a process that can span days, months, or even years to complete. Reconciliation may not even come this side of heaven. If we have chosen to forgive, and if we have identified our own mistakes and repented… we may have to be okay with reconciliation’s slow arrival. If it even comes at all. For each of us lies the responsibility of our own actions. Have we come to God and asked Him to reveal if we are part of the problem? Is there more to this than being sinned against? Are we too guilty of sinning against the other person? If you have a trusted mentor, have you shared the situation with them and sought their counsel and guidance? Once you have taken an honest look at yourself, if there is a need for you to apologize then you are responsible for taking the step of repentance and seeking forgiveness. Then you can also extend your forgiveness to the other person and work toward reconciliation, should both parties agree. However, if you are truly the only one who was sinned against and the other person is unwilling to repent and ask for forgiveness… you can still choose to forgive as Christ has forgiven. All of our sins are against a perfect God, who has done nothing wrong to us. Yet He is able to forgive our sins and cast them to the oceans depths. If the Lord can forgive me, how can I not forgive those who sin against me? Reconciliation may not happen, but that doesn’t mean that forgiveness is impossible. The scriptures state that as much as it is possible, and is up to me, to live at peace with everyone. Reconciliation isn’t entirely up to me, it takes both parties to happen. But forgiveness is a choice I can make to bring peace into my heart, life, and relationships. Then we can lean into trusting the Lord to do the work in the other person, and if reconciliation is possible it will happen under the guidance of the Holy Spirit’s conviction. When we forgive, we can live in the freedom of Peace. I choose Peace. So… I saw Bad Moms, and I laughed. First, I’d like to admit right out of the gate I didn’t walk into this movie with naive expectations. The trailers gave a pretty good indication that there would be some inappropriate humor. Second, I am not planning on giving away any spoilers. There were definitely some parts I thought the movie could have lived without, not only for the story line but even in the presentation. Sometimes it could go too far. Third, there were some parts of this that were REALLY unrealistic when you are talking about any group of moms. Lastly, there were also a LOT of truths. Overall, I laughed and I laughed hard. At one point I laughed so hard (as I was taking a sip from my straw) that I pushed air through the straw, which caused a small tidal wave in my cup, and that resulted in my drink landing in my eyes. Which just caused a whole other fit of laughter for myself and those sitting around me. I laughed until I cried and my stomach hurt. Yet, there were some moments that I nodded in solidarity. There were moments that were uncomfortable. And, yes… as I said before totally unnecessary. What I want to write about (and I’m up for conversation too) is WHY a movie like this not only resonated with moms but was drawing us in like moths to a flame. My first thought is probably the most obvious, there is an enormous amount of pressure on moms to be it all, do it all, and do so perfectly. Whether it is the perfect birthday party, bento box lunches, or simply making it to every school and sport activity… we feel the pressure. We notice so much of what is around us, like the mom who has the perfect hair and make up in the parent pick up line… when we were struggling to get out of the house with a bra under our pajama shirt. We see the kids with the perfectly styled hair, accessories, and sparkling white sneakers…. and we just spent the last 40 minutes looking for eyeglasses or a belt. Other moms dropping their kids off early, and we are 10 minutes late because we had to go back home and pick up the flute that was left behind… or because our darling child took 15 minutes to brush her teeth. How do these moms do it? We cast shade in their direction, but really we are asking ourselves… why can’t I do it? I think there are a number of moms who have run the scenario through their head of just saying no. No to the requests by the husband, kids, school, coaches, etc. An opportunity to just walk away from the pressure and enjoy life again. To make the choice of not being the perfect mom anymore, and instead be the bad mom. This brings me to my second thought, as you watch the trailers you see a group of women having fun. We are not talking bunko party fundraiser fun, but the kind of fun we had as teenagers and young single adults. The fun we had when we didn’t care what others thought, where it was ok to be silly, and there was an expected freedom in the general knowledge we were going to make mistakes and bad choices. It takes us back to a time when we didn’t have to be an adult, and could just let loose and be free. With motherhood came some sort of unwritten code of conduct, that we couldn’t be silly anymore. We began to take everything too seriously, including ourselves. Let’s face it, books and the advice of television “experts” reinforced this. Reminding us over and over again that it was time to grow up, put away childish things, and get our heads out of the clouds. As we did this, many of us sent fun sailing away for good. We stopped smiling, we stopped laughing, and we stopped being silly. The movie Bad Moms called out to that free spirit inside of us, that desperately wanted to laugh… and laugh hard. So, it pulls out all the stops. The women let loose in a way we couldn’t, and we live vicariously through them. They say the things that roll through our minds & do the things we secretly wished we could. (Ok, maybe not all of the things they say and do, but you get the point). I also believe this appeals to Christian women so deeply because of the bar that is set for our expected behavior. If other moms are feeling the pressure to be perfect in their every day life, Christian moms understand the additional expectations put on the Christian mom. To have perfect children that love Jesus, quote the bible, volunteer with the elderly, and gladly donate all their birthday money to the missions fund. 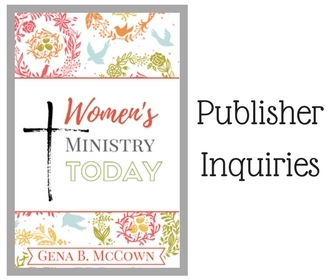 To be women who are serious about the study of the Lord, leading small groups, inviting women over to mentor and pray together, to dress in simple clothes, and be ever diligent in our choices of entertainment. There is a pressure that all of our time should be so seriously focused on Christ, that we can’t let loose and laugh until our sides hurt. Confession… I saw the movie on opening night. It’s taken me almost a month to admit I saw it, because frankly… I expected to be judged for it. I was worried about what my church friends, my readers that look to me for wisdom, the women or leaders who are reading through my blog trying to decide if I would be the right speaker for their next women’s event… what would these people think of me? I learned something from the movie though… my eyes were opened to how long it had been since I had laughed so much and so hard. I realized how seriously I take myself and made the decision not to. I embraced that silliness is okay and even healthy for my kids to see. I made the decision that I wanted to laugh more, but with those whom I am the closest to… not a theater full of strangers. I want that girl posse who has my back, in the most biblical way possible… and who will be silly with me. Women who know how to laugh, smile, and stop trying to be something that is impossible to attain… perfect. All of those parts of the movie that I thought were unnecessary, they don’t have to be part of my life. But the good stuff… I welcome it. We are all GOOD MOMS despite our imperfections and the times we muck things up… because we are LOVING MOMS. In the end that is what matters. The Lord didn’t call us to a life of misery, but of fulfillment and joy as mothers… and laughter. So much laughter. Women are a funny creation, I’d love to have a one on one conversation with the Creator of the World about how women work. I want to know how much of our way of thinking, behavior, etc is just “how we are wired” and how much is a result of the fall. How emotional did God really want for us to be? How complicated were we intended to be? When woman first bit that piece of fruit, why is it that her mind became a pile of yarn balls all unraveled and going in so many directions at once? Why did men get the capacity to compartmentalize things and function so differently with thought and deed? We both ate of the tree of knowledge, yet our brains work so entirely differently. Why? Interestingly enough, what also happened after woman bit that apple… she saw herself. She felt shame and guilt. And, she hid from God. Until that moment, the Lord had blinders on her eyes. She saw Him, she saw Adam, she knew her God given task and purpose. When she bit of the apple, those blinders fell off. “What if” entered the world. “What if God didn’t say ….”. “What if I take a bite…”. “What if I didn’t hear God correctly…”. Eve hid from God. Eve said… do not see me. Do not find me. Do not cast your gaze upon me. Do not search me. She didn’t want to be found in her shame and her guilt. But the Lord looked for them, he sought them out in their shame, held them accountable, and then as He always does… he made a way out. I’ve known so many women who want to be seen. They want their spouses to see them, instead of take them for granted. They want their children to see them, and consider them worthy of praise. They want their parent to see them and apologize for past hurts. They want their boss to see them and recognize their efforts. They want their church to see them and welcome their gifts. They want world to see them and say you add value and are worthy to know. And yet, some of these same women will hide from those who see too much. When a spouse gets too close, and they feel vulnerable… they push him away. When the children begin to see through her perfect mom facade, she builds up taller walls and come up with new covers to her sin. A parent who desires to fix the past will be kept at arms reach because of fear, we do not want to be hurt again. Women don’t want their bosses to know how much they sacrificed for the job, because they fear it shows weakness vs. strength. A woman who wants the church to see her gift but hides the journey to faith that brought her there. Women who want the world to see them, but only the parts they want to be seen. Women are complicated creations. By our design or as a result of our choices, we seem to have the ability to complicate our lives even more than they need to be. We say we want authenticity in our friendships, but we do not want vulnerability. We say that we want iron sharpens iron friendships, yet we do not understand that for iron to be strengthened it’s weaknesses must be exposed. We would rather our friends look up at us as a model of inspiration versus walk with us through our valleys. We put on a show, get a circle of friends, build relationships… always keeping our arms stretched out so that no one can get too close. From a distance our cracks and fractures are not as noticeable. From a distance we can put on a show and no one can see us reading from the cue cards. From a distance our grand actions are easily seen but our slight of hand goes unnoticed. From a distance we look holy and righteous, masking our sin and deprivation. From a distance we appear to have it all together, all of the right answers, the perfect family… no one can see the brokenness behind our closed doors. Social media has made the perfect playground for superficial relationships, because we can connect with hundreds and thousands of people… posting our perfectly thought out words, edited photographs, and stories spun to make our lives look like a highlight reel of perfection. When those people began to infiltrate our real lives, and see how we really live… that facade can only last so long. When they get too close and begin to the see the truth, we cut them out and replace them with someone new. Cycling our “friends” in and out of our lives to protect the image we have created for ourselves. We tackle authenticity from a place of mentor to mentee versus a mutual relationship of accountability. We want others to be authentic with us, so that we can use our gifts, talents, knowledge, wisdom, et’al to help them. Yet we dare not expose the thorns in our sides, the planks in our eyes, and our sin to those whom we consider our closest friends. When they come across them and call our attention to it, we are quick to dismiss it. Quick to blame, and quick to create distance. We speak truth in love, but I question how much love is really there. We speak personal conviction as biblical mandate, standing on a soap box of righteousness that is filled with worms. We are quick to label others sins and quantify them as more terrible than our own, so that when the time comes we can stop the friendship and feel no remorse. Righteous indignation is easier than self retrospection. So, we hide. We hide from God under the guise that our sin is not as bad as others. We tell ourselves that God is angrier about greater sins in the world, than this little thing I have done. We hide from those who love us, because we fear that if they see us for who we really are they will leave… judge… or hold us accountable to change. We hide from ourselves by focusing so much on how others have wronged or hurt us, that we can put our own sin on the back burner. We want others to avert their eyes to us, while we look at them under a microscope. Lord help us to be vulnerable with one another, to walk our roads not alone but in the company of our family of believers, let us not fear accountability, and help us to stop hiding from you.